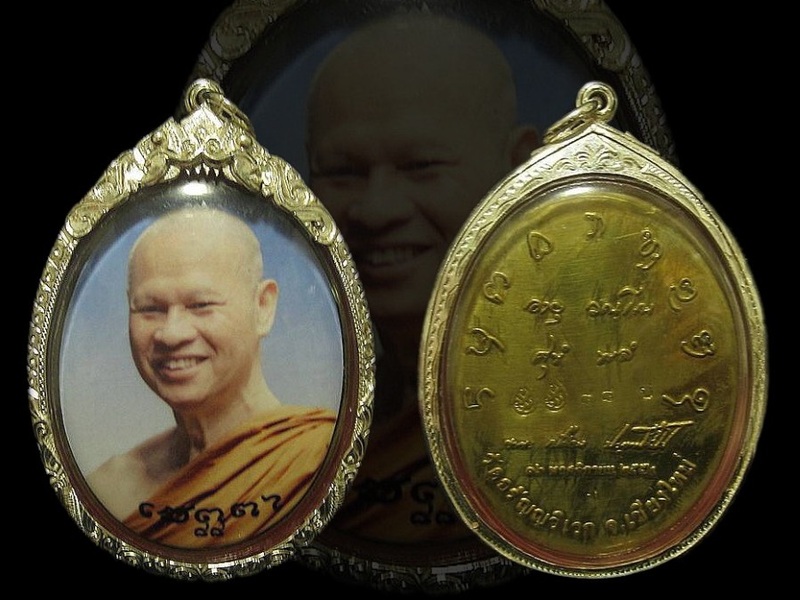 Locket Roon ArRiYaSup MongKhun Mahalarp (Great Wealth, Prosperity & Fortune) Luang Phor Plien Wat Aranyawiwet BE2554. Phim Jumbo Kamakan with S code, made 30 pieces only. Serial number S10. Attached with Silver Longya Waterproof casing. First Batch Pidta Phim Yai Luang Phor Plien Wat Aranyawiwake BE2541. Nur Phong. Daolit NurPhong Phim Yai Luang Phor Plien Wat Aranyawiwake BE2542. First Batch Pidta Plodnee Luang Phor Plien Wat Aranyawiwake BE2541. Bottom with 1 GOLD takrut, very rare in market. It won No2 Placing in Thailand Chiangmai Grand Amulet Competition on 21st August 2016. Attached with Gold Waterproof casing. 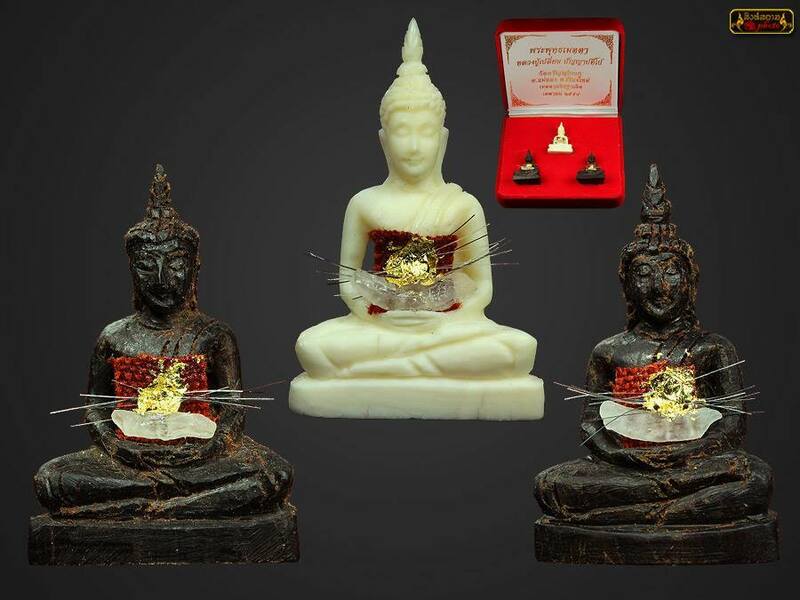 First Batch Pidta Phim Jumbo Luang Phor Plien Wat Aranyawiwake BE2541. Bottom with 1 GOLD takrut, very rare in market. It won No1 Placing in Thailand Chiangmai Grand Amulet Competition on 21st August 2016. Attached with Gold Waterproof casing. 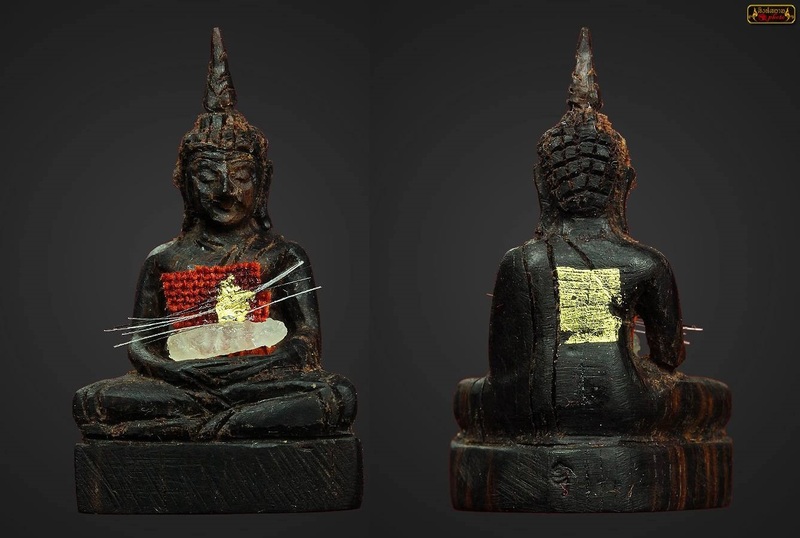 Buddha Roon Puttha Metta Luang Phor Plien Wat Aranyawiwake BE2558. Kamakan set, made 58 sets only. Serial Number 37. Attached with Luang Phor Plien hair and leftover rice. First batch Rian Phra Kring Luang Phor Plien Wat Aranyawiwake BE2540. Nur nawa. It comes with original temple box. Buddha Roon Puttha Metta Luang Phor Plien Wat Aranyawiwake BE2558. Wood material, made 500 pieces only. Attached with Luang Phor Plien hair and leftover rice. Phra Keow Luang Phor Plien Wat Aranyawiwake BE2521. 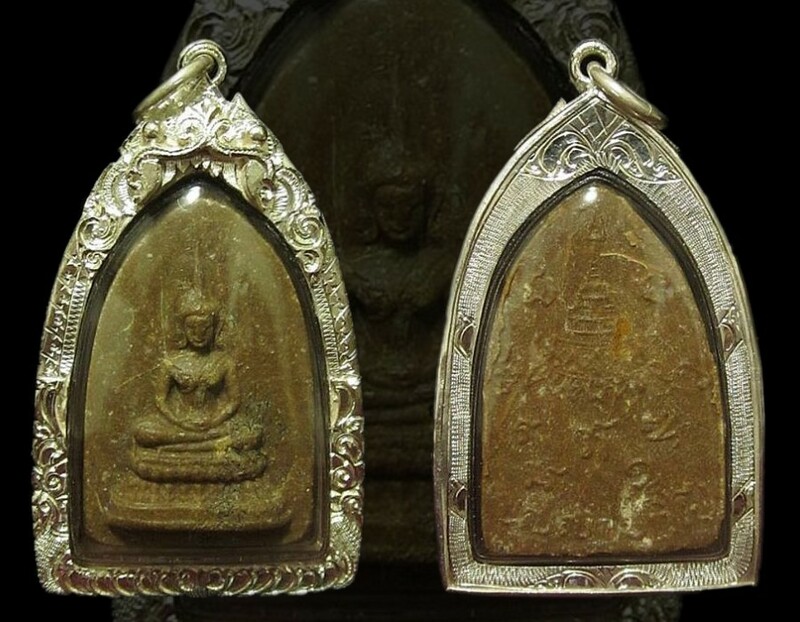 This is the first amulet from Luang Phor Plien. Very rare and made from many types of herb, powder and mixed with LP’s hairs. 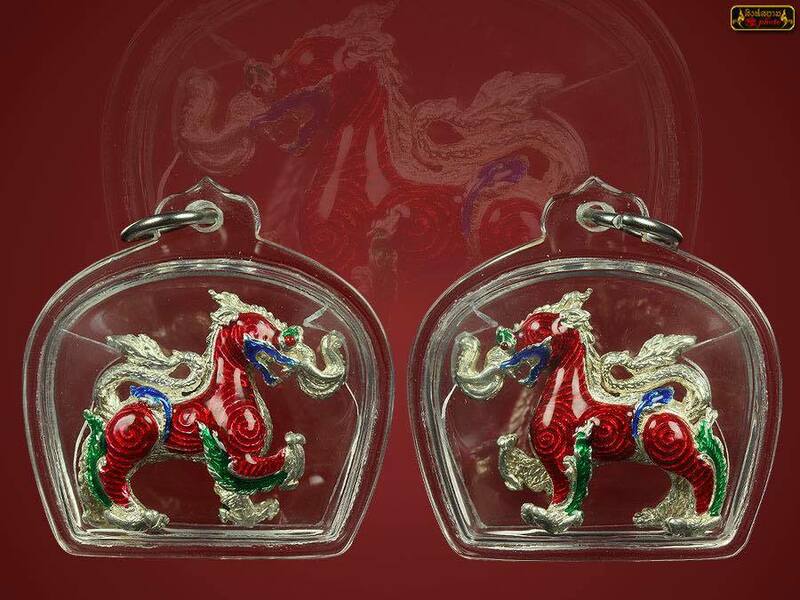 Very good for prosperity, health, wish come true and good prospect in life (career and improvement). 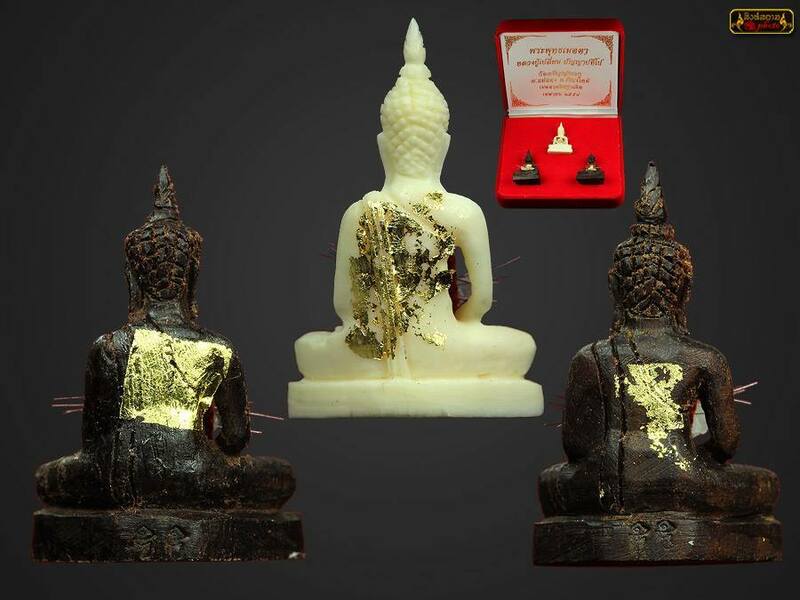 It won No4 Placing in Thailand Mae Hong Son Amulet Competition on 27th April 2014. Attached with Silver Waterproof casing. Number 88. It comes with Silver Waterproof casing. Khotchasi Maha Phokkhasap Maha Amnat Maha Barami Wat Rong Tham Samakhi BE2557. 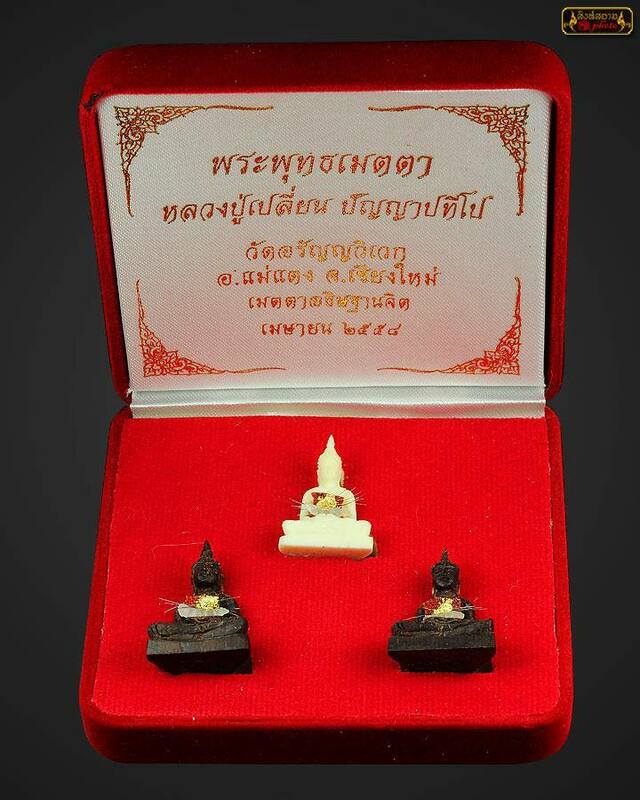 Made for memorization of Luang Phor Thong Bua. Blessed by Luang Phor Prasit Wat PaaMooMai, Luang Phor Plien Wat Aranyawiwake. It also blessed in Wat Asokaram and lead by Luang Phor BunGoo Wat Pra Si MahaThat and other monks. Nur Ngern Longya, made 58 pieces only.